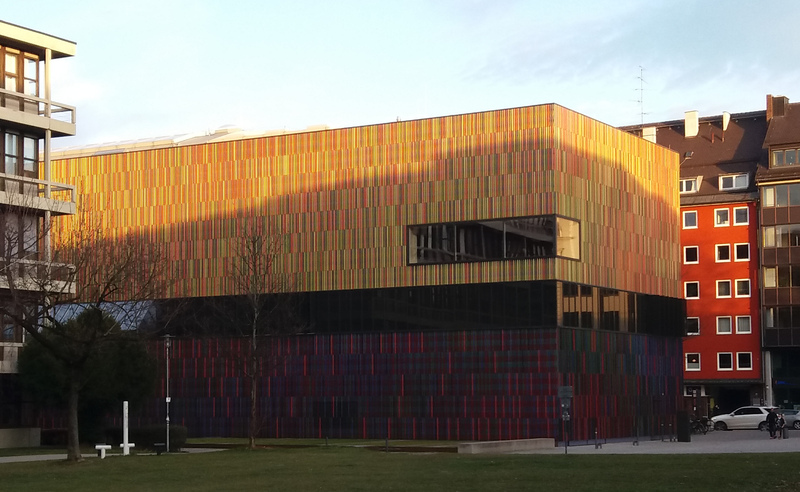 We are pleased to have the opportunity to speak about a façade capable of expressing so much sensitivity regarding the context and its functionality, while manifesting itself as an impeccable jewel in the chromatic composition at short and medium distances. 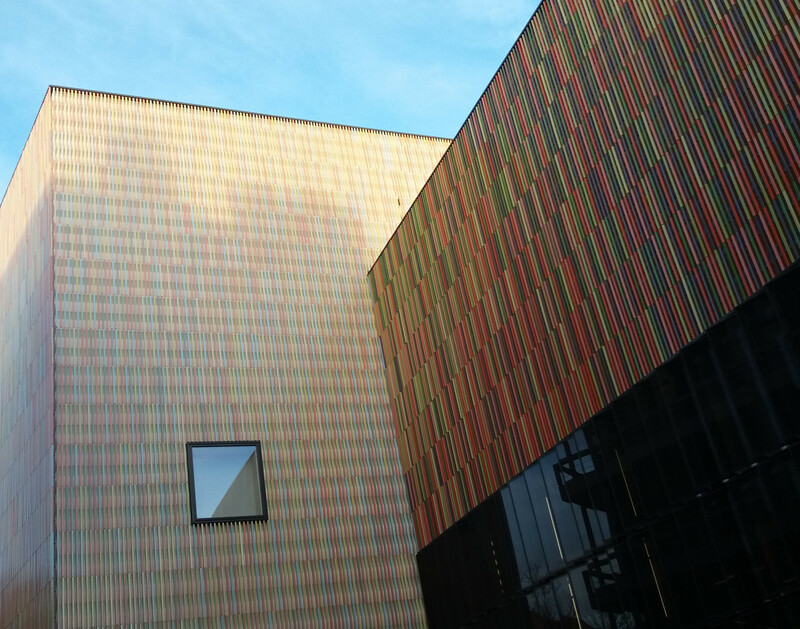 On several occasions, we have talked about the need to differentiate between the watertight function (rain screen) and energy management (ventilated façade) on facades with cavities. 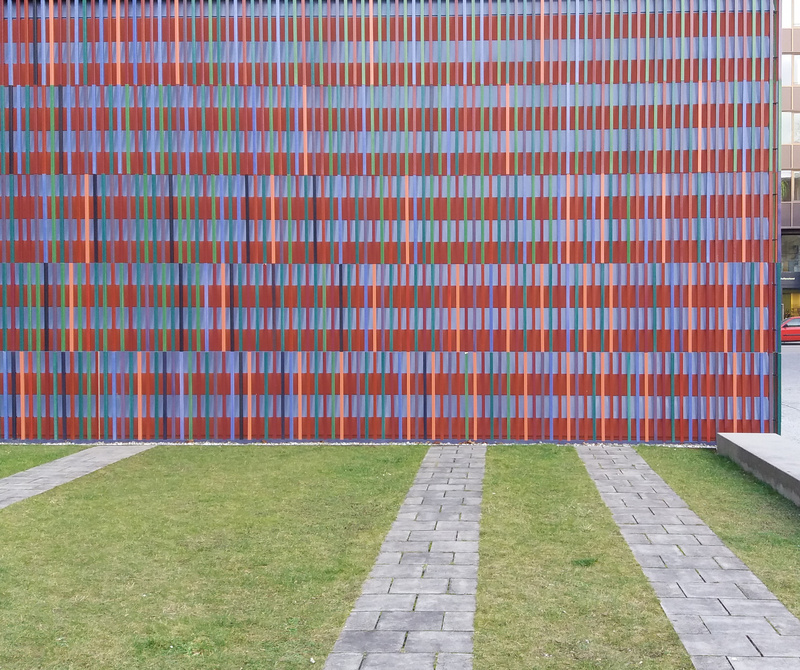 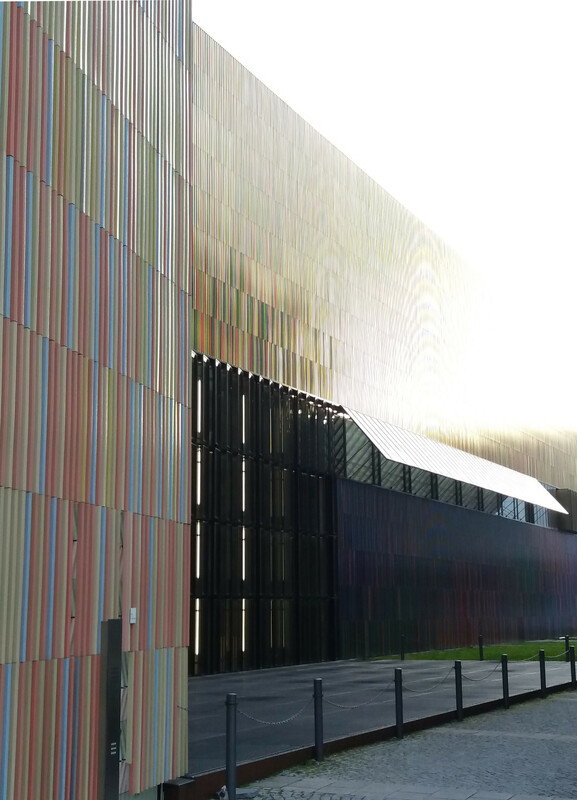 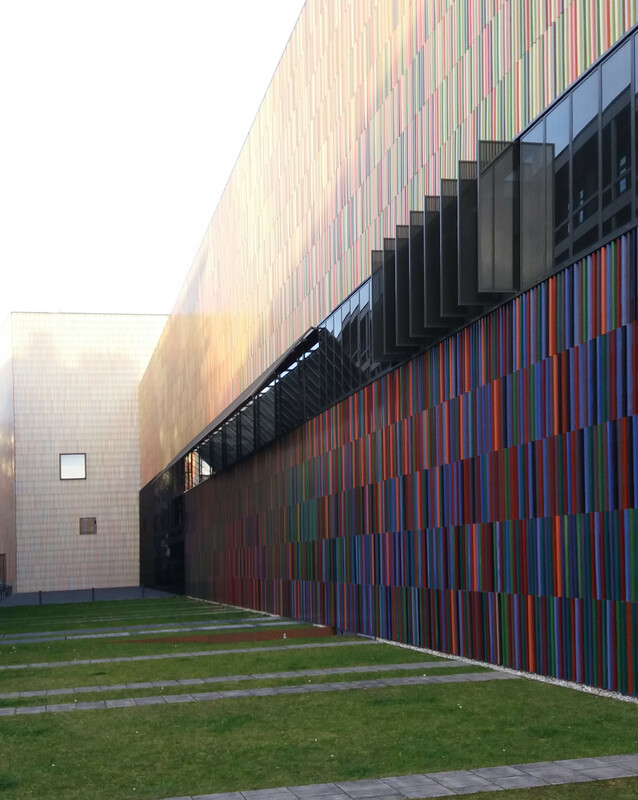 Sauerbruch Hutton gives us a dual cavity solution in which each cavity satisfies one of these functions, in addition to the acoustics that is at the base of the facade strategy. 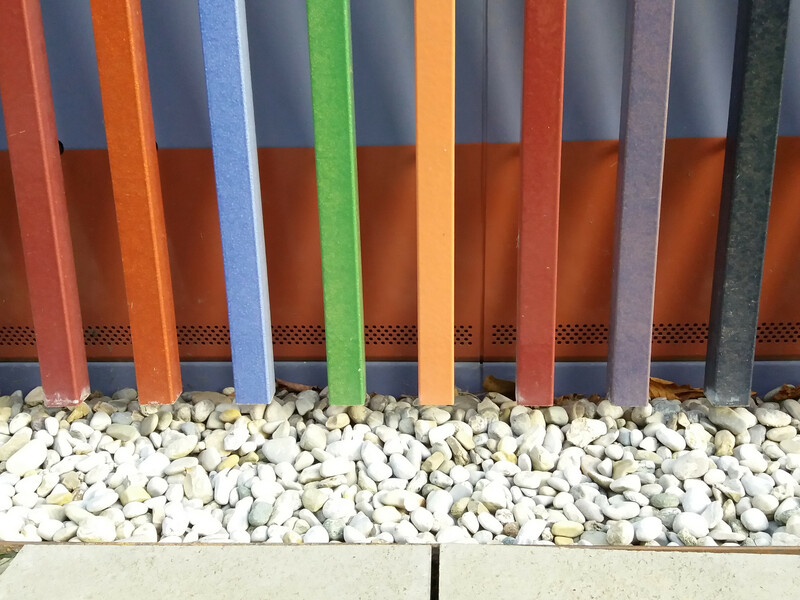 The ceramic baguettes protect the inner metal sheet from excess solar radiation, minimizing overheating. 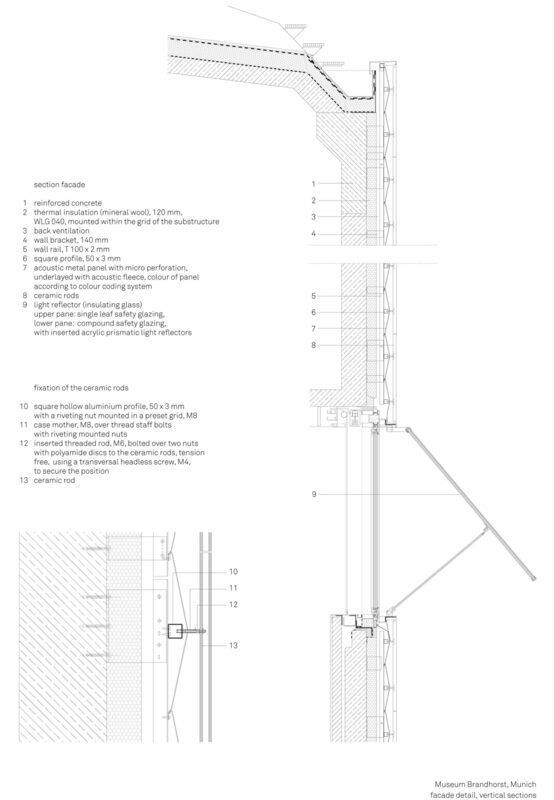 In turn, this metal sheet creates a barrier for water, complemented by the drained cavity. 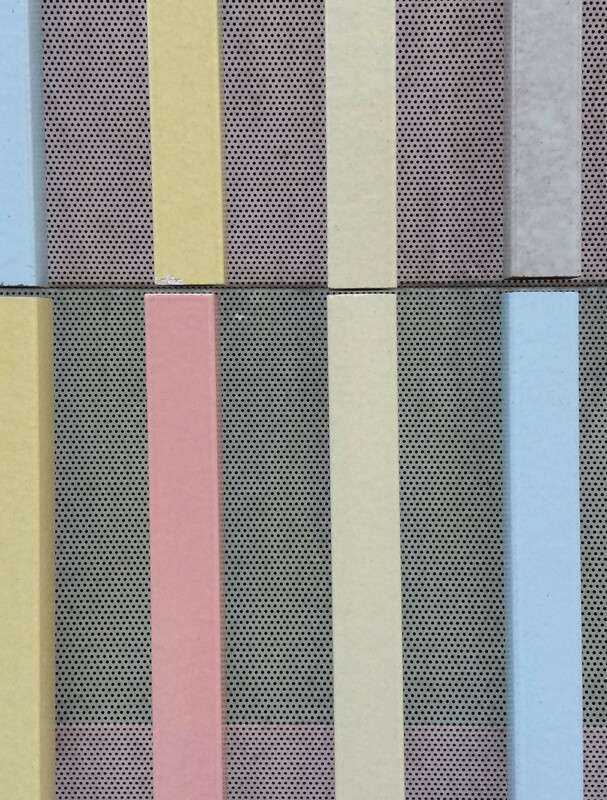 The sheet is micro-perforated on the façade that is most exposed to noise, acting, together with the cavity, as an acoustic absorber.